I expect that it will be appropriate at some point later this year to take the first step to raise the federal funds rate and thus begin normalizing monetary policy, Yellen said. Federal Reserve Board Chair Janet Yellen said she still expects to raise interest rates this year and repeated that the subsequent pace of increases will be gradual. “But I want to emphasize that the course of the economy and inflation remains highly uncertain, and unanticipated developments could delay or accelerate this first step,” she said in the text of a speech Friday in Cleveland. Yellen, 68, is moving the Fed cautiously toward its first interest-rate increase in almost a decade as she weighs conflicting pressures at home and from abroad. While improving economic data in the U.S. may push the Fed to consider tightening as soon as September, risks from Greece and China could prompt a delay. Fed policy makers in June forecast two quarter-point rate increases this year. The pace of tightening next year will be more gradual than they expected in March, the latest forecasts show. Since the June meeting, the labor market has shown further gains, along with housing and manufacturing, adding to evidence the economy is overcoming a first-quarter slump. The Fed chair devoted a large section of her speech to explaining how labor markets still haven’t met her criteria for full employment. The unemployment rate stood at 5.3 percent in June. 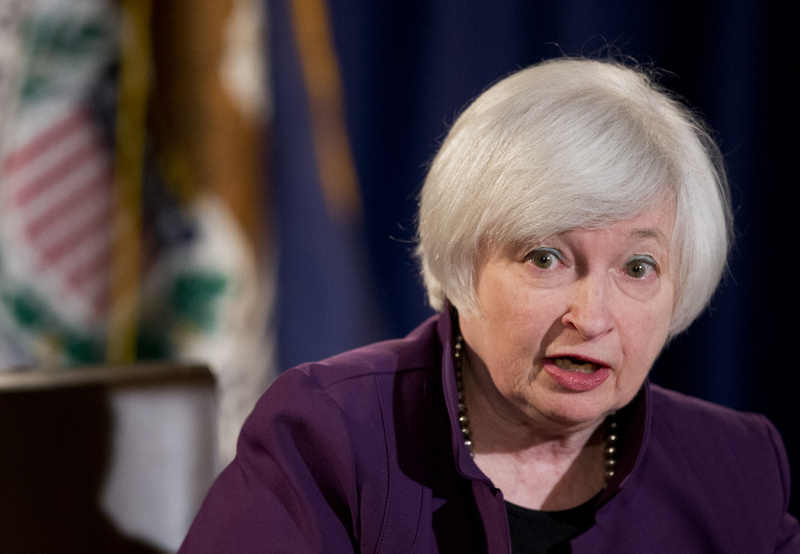 In her overall assessment of the economy, Yellen was similarly cautious but upbeat. She noted two specific drags on the U.S. economy: the strengthened dollar’s impact on exports and the decline in business investment linked to lower oil prices.